LED Filament Bulb - Silver Tipped A19 LED Bulb with 6 Watt Filament LED - Dimmable: 360° View. 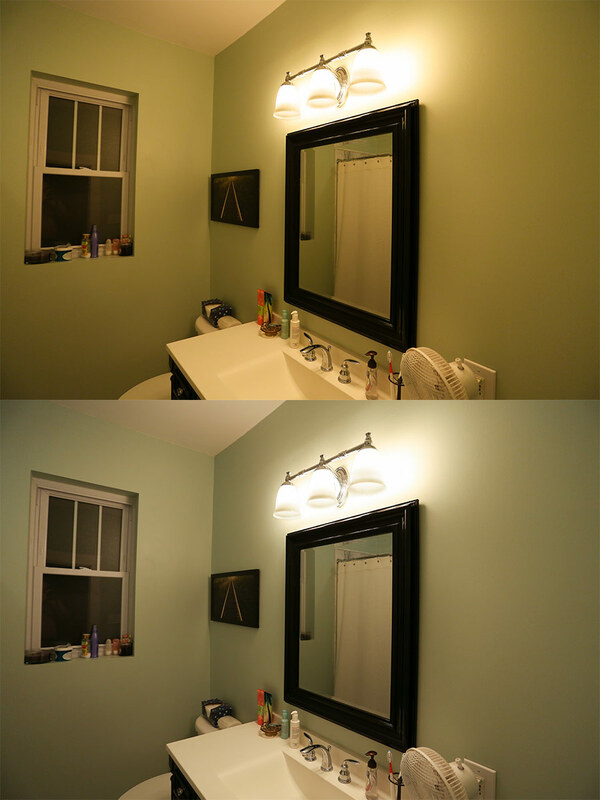 LED Filament Bulb - Silver Tipped A19 LED Bulb w/ Filament LED - Dimmable: Shown Installed In Bathroom Vanity. LED Filament Bulb - Silver Tipped A19 LED Bulb w/ Filament LED - Dimmable: Shown Installed In Bathroom Vanity In Ultra Warm White (Top) And Warm White (Bottom). 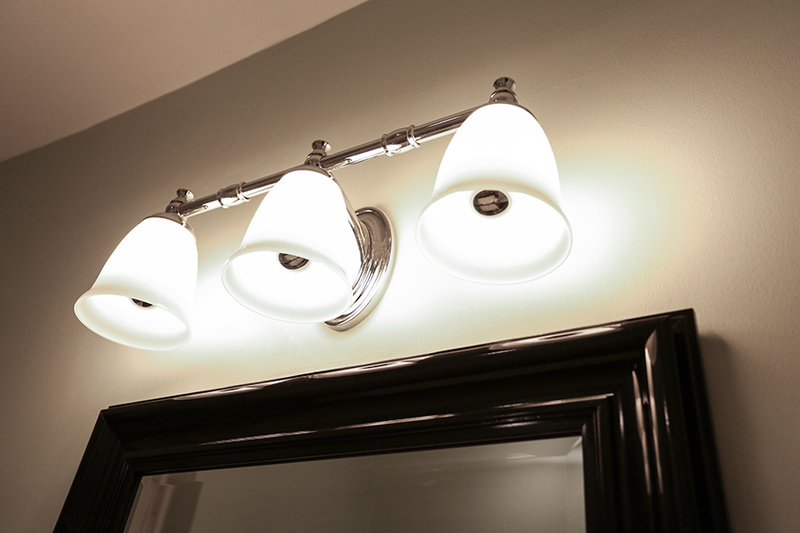 LED Filament Bulb - Silver Tipped A19 LED Bulb with 8 Watt Filament LED - Dimmable: Shown Installed In Bathroom Fixture. 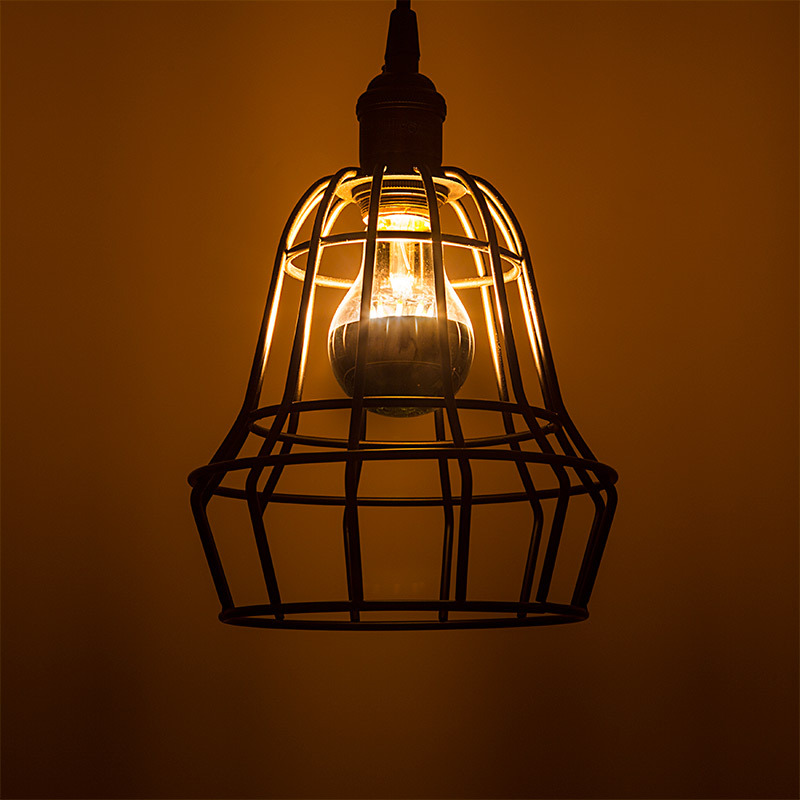 This household LED filament bulb creates an elegant, well-lit atmosphere with a chrome silver tip that prevents harsh downward illumination. 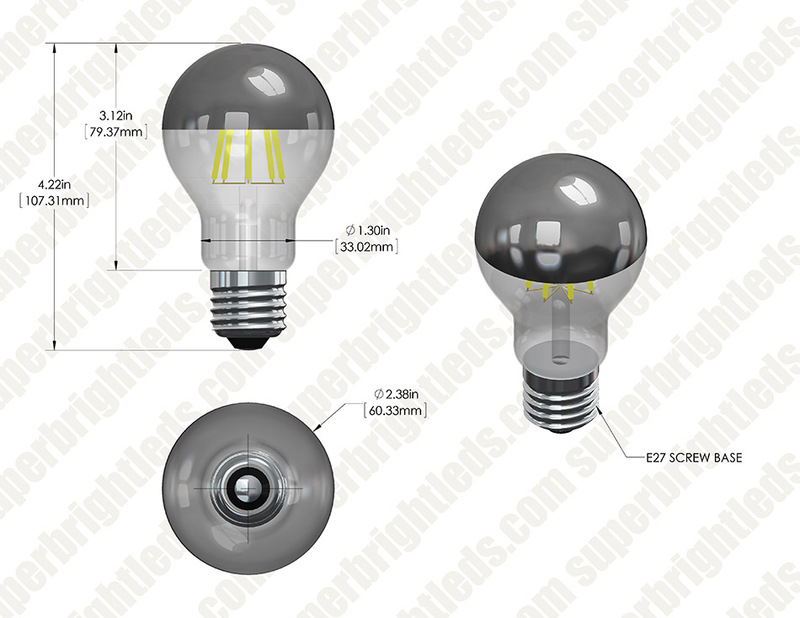 The dimmable A19 LED globe bulb is perfect for vanities, chandeliers, restaurant pendant lights, bistro lights, tent lighting, ornamental lights, commercial light strings, decorative light strands, outdoor wedding lights or for any decorative application that accepts A19 bulb types with E26/E27 bases. 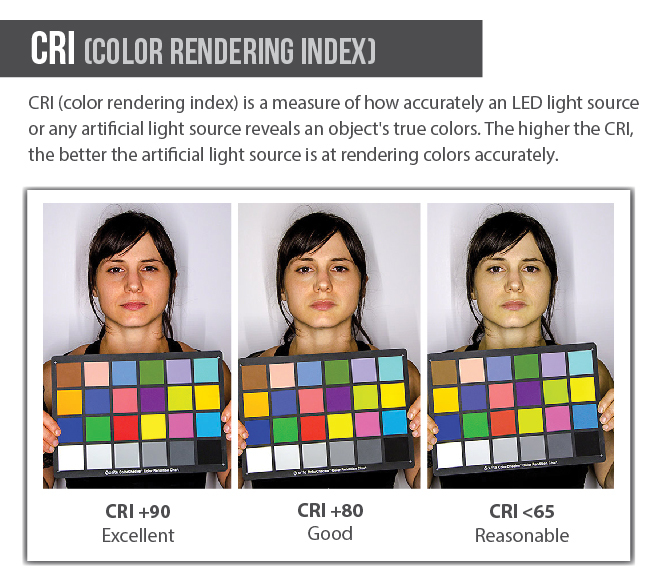 8 COB (chips-on-board) LEDs produce 370 to 490 lumens of warm or ultra warm white light at 1950K or 2200K color temperature. The linear LEDs imitate the look of thin filament wire in antique-style bulbs and emit a 360° beam angle for allover illumination. The energy-efficient bulb uses only 6 watts of power; an incandescent bulb with comparable light output would consume 40 watts. 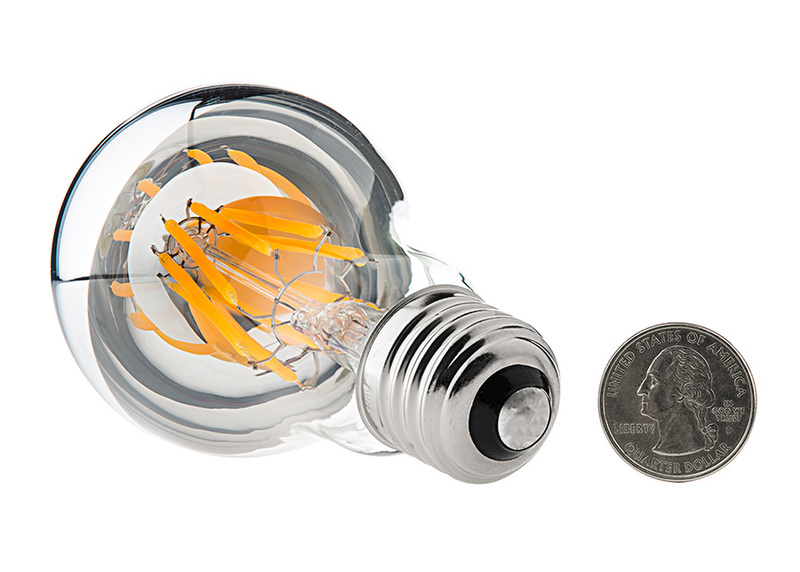 This bulb operates within a wide 90-145V AC range and is designed to last 30,000 hours—25 times longer than incandescents. Price per bulb. 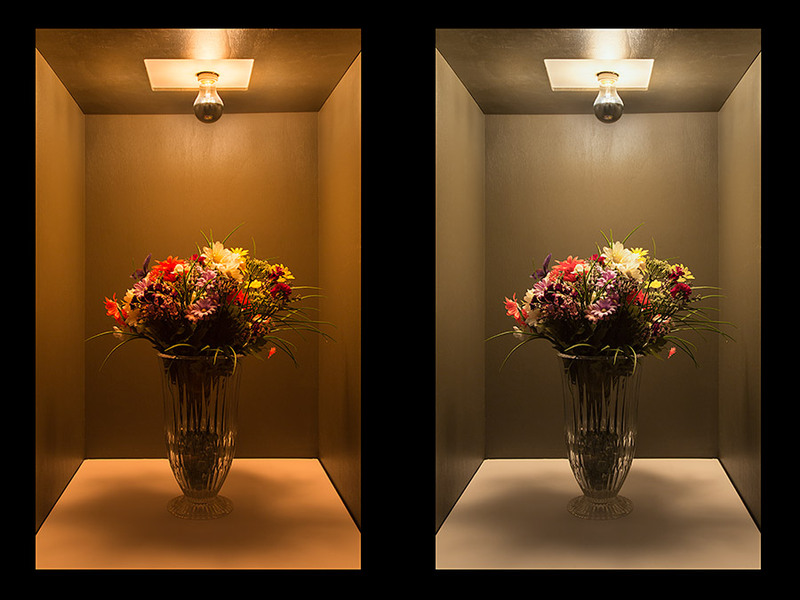 Mirrored top bulbs are typically around 50% less bright than non-mirrored bulbs. 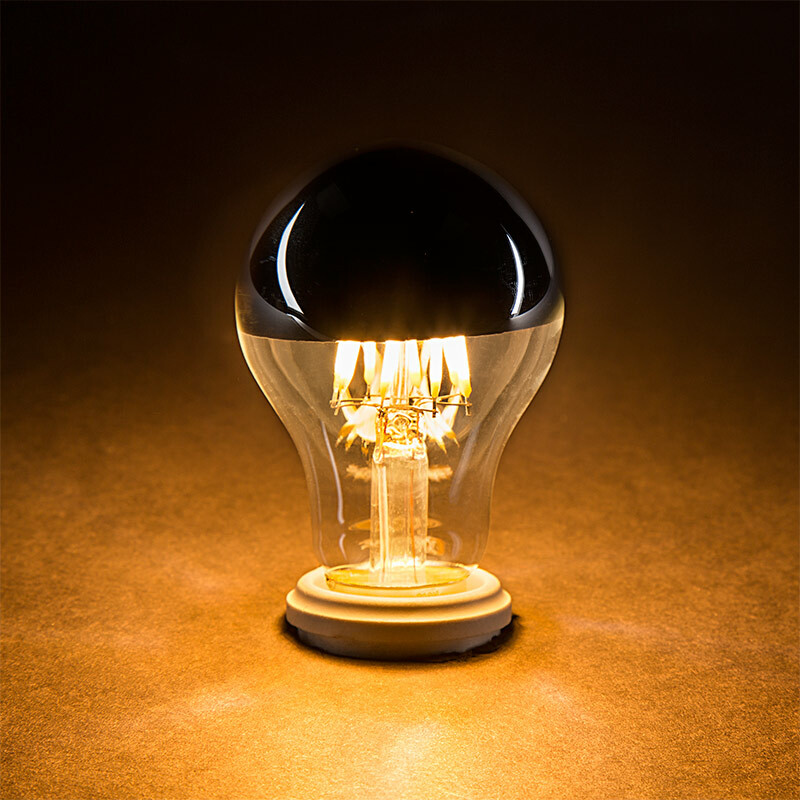 The Lumen rating of this bulb is inline with published specs of incandescent mirrored bulbs of 40-50 watts. This is exactly right for the classic Arco floor lamp. 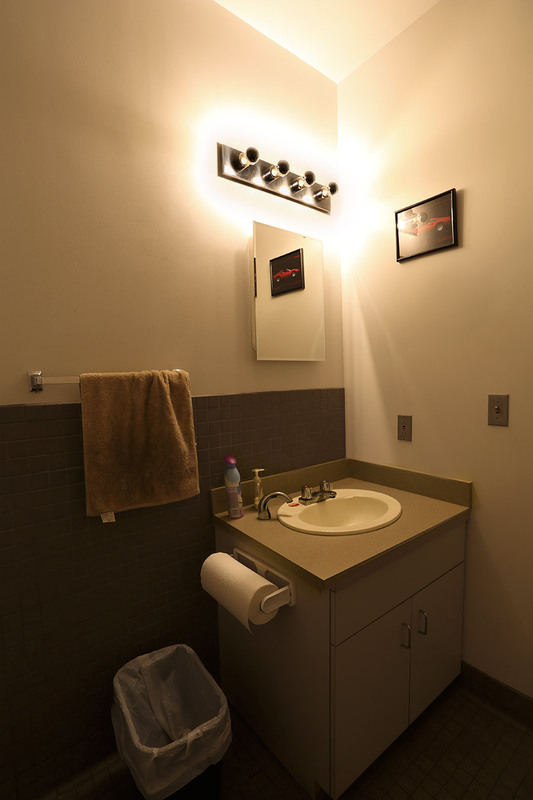 We use these lights in our bathrooms at our various locations. They are warm LED lights that create a soft environment on the eyes. 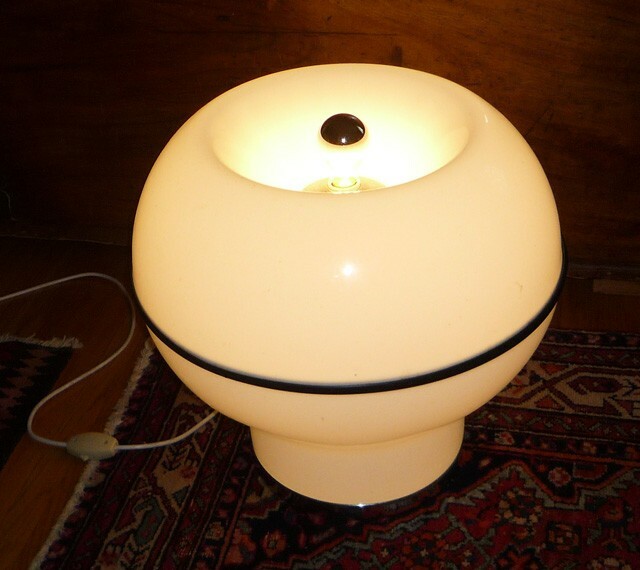 This bulb replaced a half-mirrored 60W incandescent bulb in the top of a Roche-Bobois spherical floor lamp. 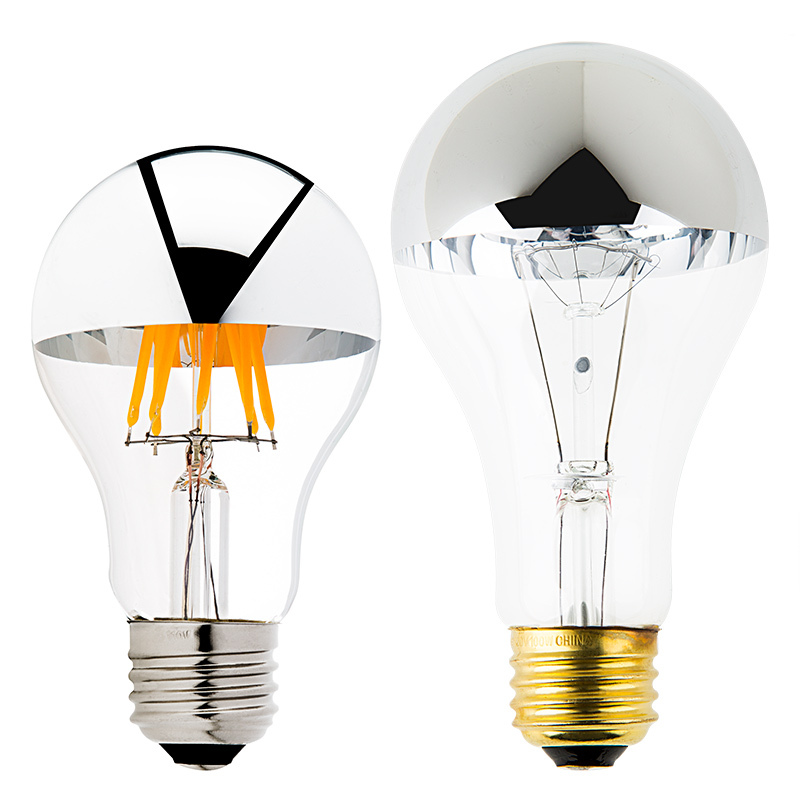 Inside the translucent white plastic spherical enclosure are three 60W-equivalent frosted A19 bulbs. 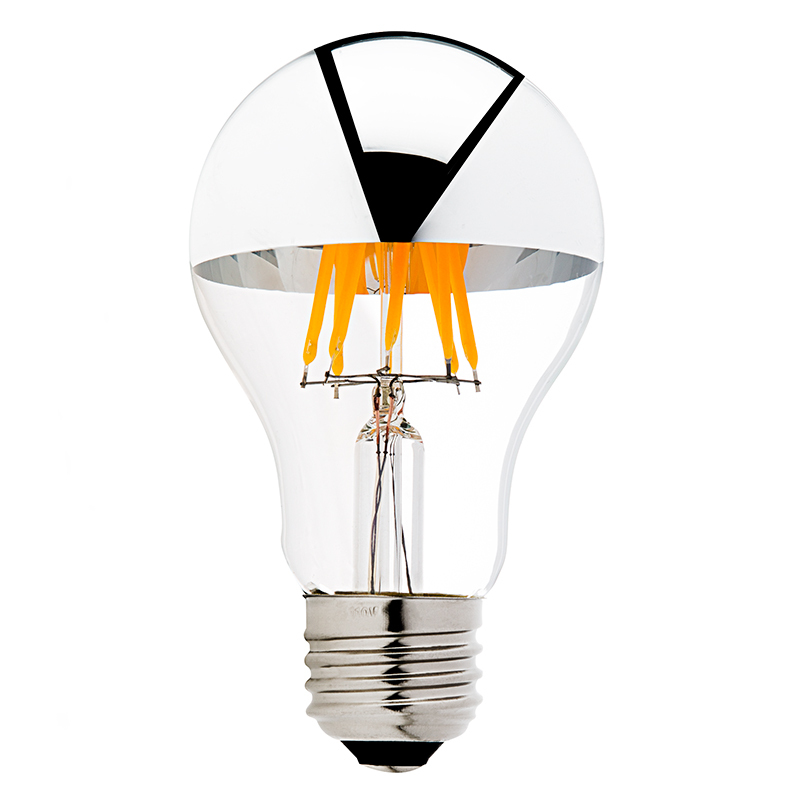 The half-mirrored bulb eliminates the glare and eye-strain which a clear bulb would cause.